Ranking well on Google is one of the most powerful and profitable ways to help you increase your website’s traffic and grow your business. Over the years, Google has built a whole host of tools to help you boost traffic, as well as optimise the page these visitors land on. If you’re failing to take advantage of these tools, then you are missing out on a big trick, especially seeing as they are all free. Google Analytics is an incredibly useful free resource which gives you deep insight into all metrics regarding your site’s traffic. You can see where customers are coming from, what they are doing on your site, get a breakdown as to who they are, and what content they are most enjoying. You can then set conversion rates to track all of these visitor interactions and get accurate data as to how well your site is performing. To get started, you simply install a unique tracking code on your site and then get to work collecting data and assessing the results. In turn, you can use this data to find out what’s working, what isn’t, and drastically start to grow your conversions. Google My Business is designed for businesses who want to accurately display vital company information and allow people to find them more easily. Your Google My Business profile allows you to build up reviews from past customers and create a profile which potential customers can trust and get validation from. The aim of Google My Business is to fully update and work on your profile to earn one of the coveted 3-pack spaces. This means that when somebody searches for a company close to them that provides your services, you are one of the three businesses recommended to them. Properly implementing both of these tools can take time, and a willingness to invest in split-testing results to find a strategy that helps you scale your business. For help in speeding up this process, and make proper use of the tools, contact me today. With years of marketing experience spent deploying tools tailored to the specific needs of each client, I know what works and what will help you reach more customers and increase your sales. After the usual nervous wait, Google announced that the latest update to the Penguin algorithm was released on September 23, 2016. If your business or organisation has a website, then Penguin 4.0 is relevant to you. In this blog post, I’ll look at some of the key aspects you need to know. The world of marketing has found a very natural home online. That’s where the businesses are; that’s where the audience can be found; and that’s where the money is. Everything from creative content to purely promotional posts can be found online, each assisting with an overall marketing strategy. Spearheading that change is Google. Not content with providing the world with split-second search results, they swiftly dominated what is essentially the world’s most famous billboard with advertising. Appearing at the top of the page are relevant paid-for adverts, while on the right-hand side, you’d expect to see more adverts from Google Shopping. Well, you might’ve done once upon a time. However, at the end of February, Google opted to remove all adverts on the right of the screen. There are several reasons for that change. For starters, Google found that browsers simply didn’t click on those adverts. Then there’s the fact that the majority of people on Google are searching using their mobiles, which don’t even have right-hand adverts. There is another added bonus too. Without the ads, the page looks a lot cleaner, visually. This is one of the main (if few) reasons that people have consistently rated rival search engine Bing as better than Google. But a bonus for general users still has knock on effects for businesses, who fear that with the removal of ads equals a major drop in brand awareness, website hits and, ultimately, the bottom line. Not exactly. It turns out that far from meaning the disappearance of small- to medium-sized businesses on Google, the removal of adverts has generally had next to no effect for smaller players, either good or bad. Partly, of course, that’s down to the low CTR (click-through rate) of right-column adverts – but it’s also being assisted by Google adding an extra banner advert to the top of the search results page, bringing the total to four. Another worry was that it would mean having to spend more for less; with space at a premium, the price would become premium too. 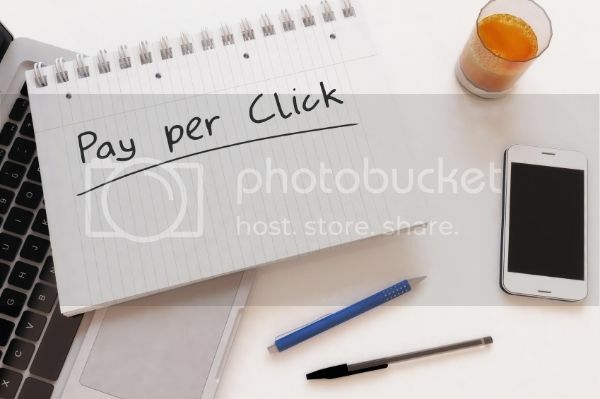 Again, there appears to be no great change to the auction-style bid process that Google’s ads have always used, and overall, the CPC (cost-per-click) hasn’t dramatically risen. These changes do have wider ramifications though – as you’d expect from our old friends Cause and Effect. Specifically, if your business is focused solely on marketing through SEO, you could stand to lose out, as the old ‘organic #1’ spot has been replaced by the ‘paid ad #4’. As such, you may notice a lower organic CTR. In fact, the only way to face changes such as these is to embrace them. And that means ensuring you have a fully integrated marketing strategy, which encompasses both SEO and PPC (pay-per-click) tactics, not just working together but totally complementing each other. What these changes to Google’s adverts really mean is that we’re entering an incredibly exciting time, for marketers and companies. It means you can craft even better ad extensions – the brief description of what you offer – for paid-for ads that have a wider audience. It means you now have the perfect opportunity to review your website, studying how to improve the experience for users. That, in turn, means upping the site’s quality, which enhances its organic search potential on Google. If you’d like to discuss Google’s latest changes and how we can work together to help grow your business please contact on 01483 200 387.